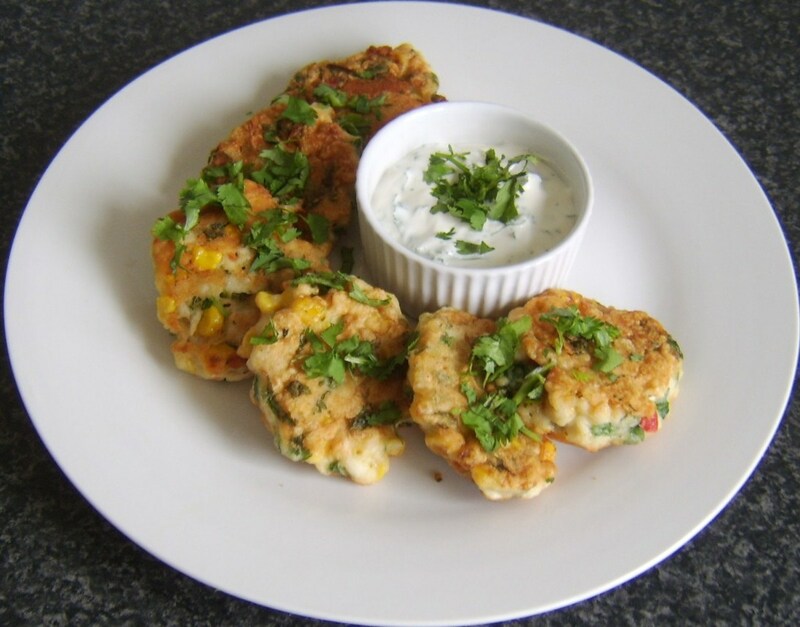 Warm gooey chicken and flour tortillas, surrounded by the sumptuous flavors of chicken and light seasonings, fills your belly on a cool summer evening reminding you of home-sweet-home. 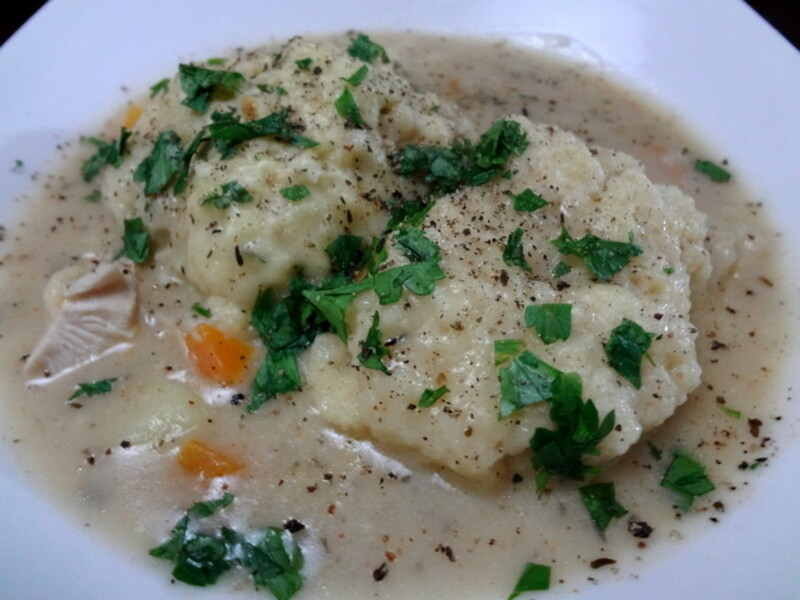 Nobody makes chicken and dumplings like your mother makes them. Not even Cracker Barrel can grasp that subtle texture and flavor that says your childhood like your mother. There's no reason you shouldn't be able to make this recipe simply and easily at home and be that reminder for someone else of the gooey warmness of comfort and safety. It doesn't have to be complicated, require serious cooking skills, or even that you make and roll out dough for your meal. 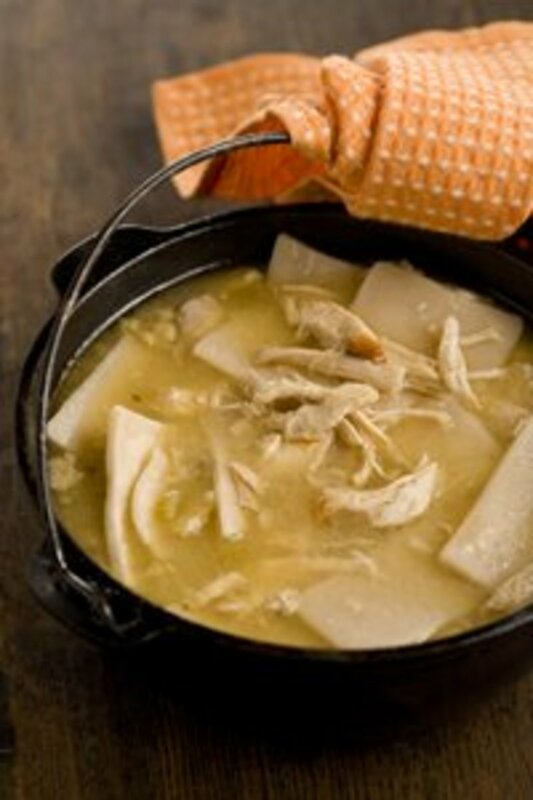 This simply recipe is make from chicken breasts, chicken stock and tortillas. How much easier can it get? Like the famous cookbook "Now That You're Away From Home . . ." you can now really create meals like your mother used to make for your friends and family I know this one is a favorite in our household. Yields: Serves approximately 8 to 10 people. Boil your chicken breasts in a large pot of boiling water sprinkled generously with salt for about 30 minutes (or until cooked thoroughly). When finished, remove cooked chicken breasts from water and set aside 1/2 gallon of the chicken stock you created (the boiled water), and the chicken breasts. Cool before using. In the meantime, you will be making a sauce in a medium saucepan. Begin by melting 2 tablespoons of butter in your saucepan over medium heat. Once your butter is melted, using a whisk, slowly add in your 1 1/4 cups of flour. This mixture will be really thick. A cup at a time, to keep the sauce from being lumpy, add in your chicken stock. Add salt and pepper to taste. Cook your sauce until thickened. At first, this will be a little bland, but we are about to change that. When your sauce is ready, transfer it all over to the large pot with the rest of your chicken stock. This is when you truly want to taste your "sauce" so far. Pull out your chicken bouillon cubes and make a cup at a time (1 bouillon cube per 1 cup water) to add to your sauce until you think it's the right taste and consistency. 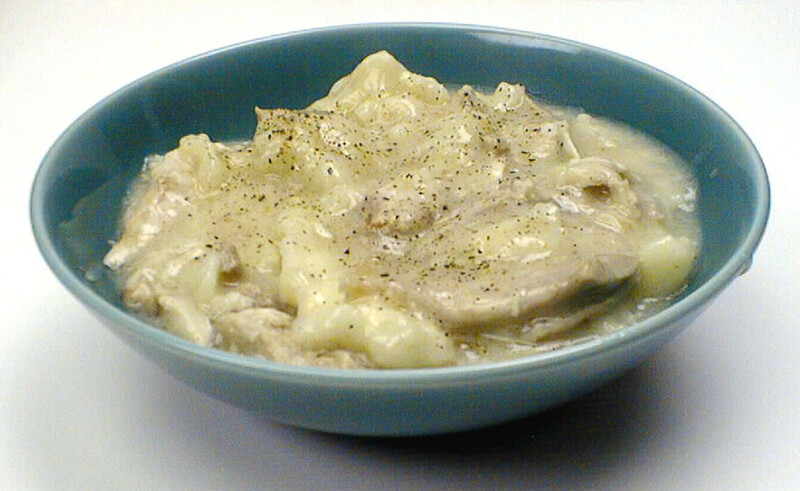 Remember that it is chicken and dumplings. It's not going to be super spicy or strong. While this is cooking, pull out your package of flour tortillas. You'll want to slice up about 2 tortillas at a time, into 1" strips the length of the tortillas. Heat up your sauce to boiling, and then add them to the sauce in your pot. Submerge them all with a wooden spoon and stir them around. You'll probably need around 8-10 tortillas. Make your own judgement. Some people like a lot of dumplings, and some don't like quite as much. You can always add more at any time. They don't take long to cook. After all of your tortillas are in, turn the heat down to low and cover your pot. Set the timer to 30 minutes. Then you will go back to your chicken breasts. Cut them up in as small or as large of squares as you would like (everyone likes it a little different), or you could even shred or slice your chicken. As it's cut, turn around and add it to your pot, stirring it all up together. 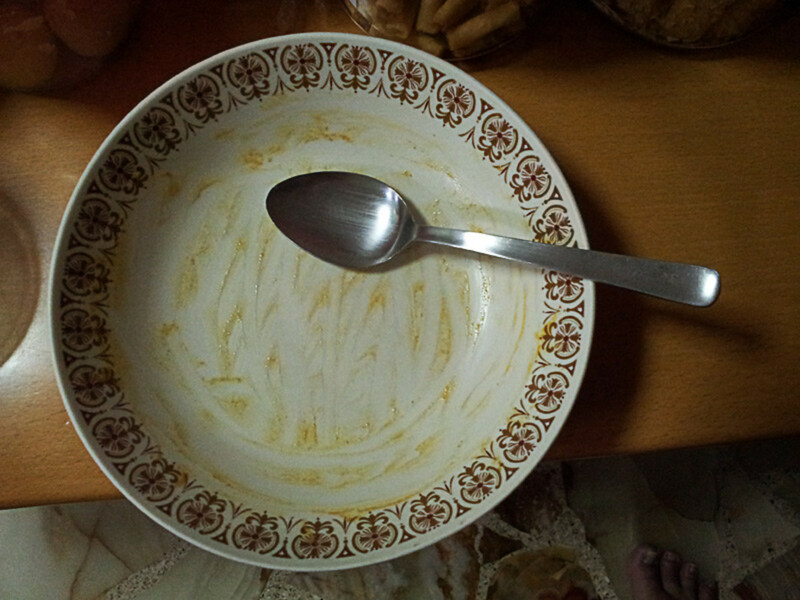 At the end of your 30 minutes, open the cover, stir your meal really good, taste it, and make any changes necessary. For more flavor, add another cup of chicken bouillon. Yummy. Serve it hot! We like to eat ours in bowls. There are so many ways I've heard people making this dish for themselves. Some use Pillsbury biscuit dough or croissant dough for their dumplings, many people simply purchase pizza dough or breadsticks, I've heard of some choosing to break up bread for this meal, and finally, the most popular version is made with homemade dough cut into pieces for dumplings. I've had all of these versions myself and find that nothing replaces the wonderful taste and texture of flour tortillas in this dish for me. I like that the tortillas swell as easy as they do in the pot, even for only a few minutes, that the "dumplings" tend to stay together being long strips in your dish rather than pieces, and that they hold together when heating, even when it's been frozen and thawed. This is a wonderful all-around dish that is sure to please everyone! 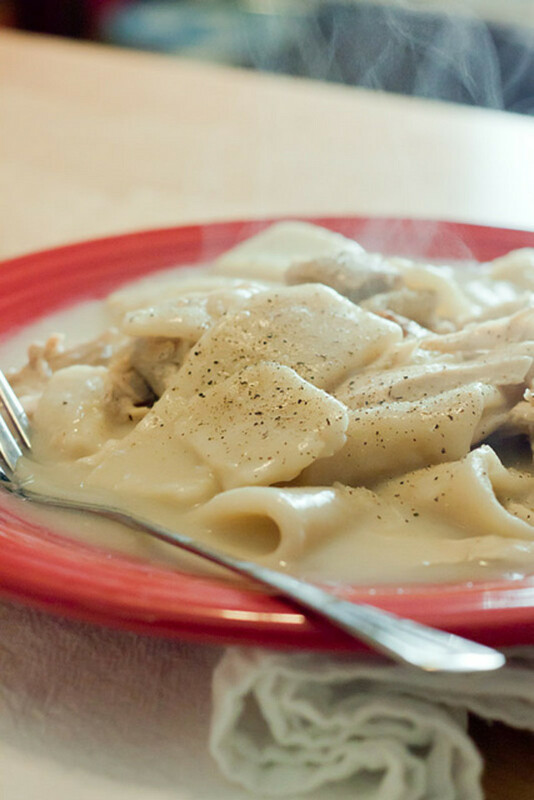 Do you prefer biscuits, handmade dumplings or tortillas in your chicken and dumplings? My mother used biscuits and so do I.
I've always liked making my own dumplings from scratch. I couldn't break away from what I'm already using. Other. Looking for an easy family meal? 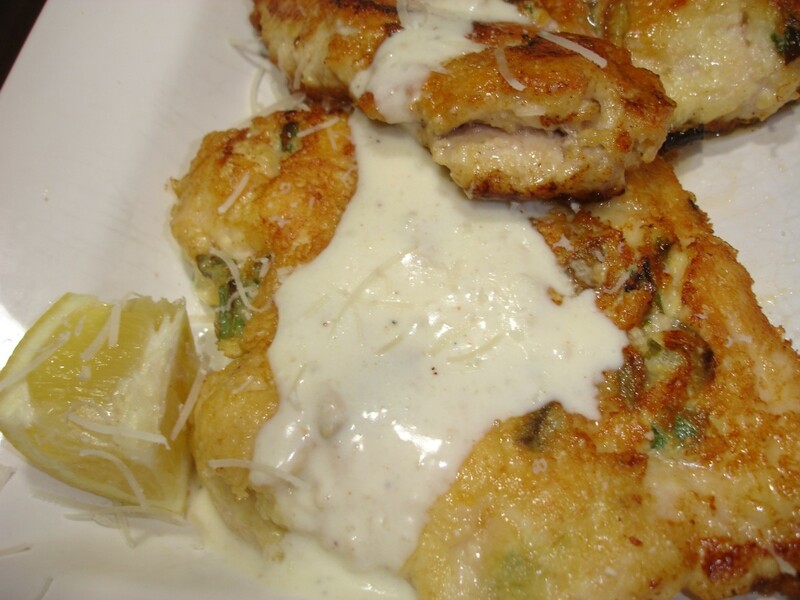 Try this delicious Santa Fe chicken. Includes step-by-step instructions with pictures, a recipe for black beans, and directions for creating wraps with the leftovers. Learn how to make a delicious lemon and herb roast chicken. This easy whole chicken recipe includes simple to follow instructions with step-by-step pictures. As simple as this recipe seems, it was truly delicious! The croissants were crispy, the insides were creamy, and I even went back for seconds, it was so yummy! Thanks for sharing this delicious recipe!!!! !